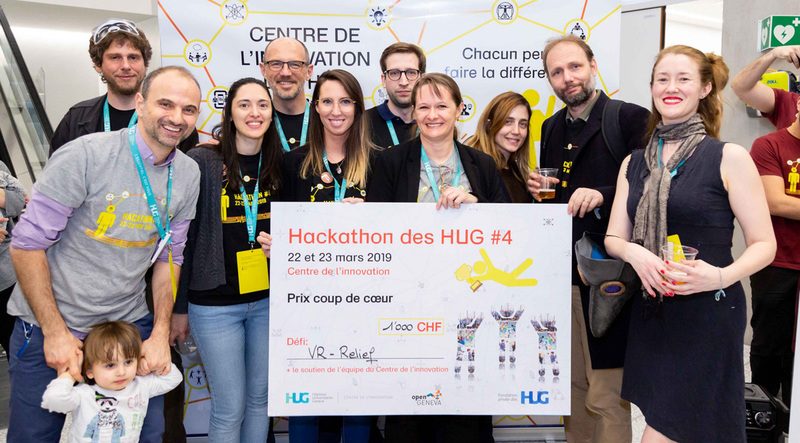 Vrelief, an application of hypnosis in virtual reality to soothe children during a painful procedure is rewarded by the “coup de coeur” Award of the hug of the hug. A fruitful collaboration between the laboratories of the teacher. David Rudrauf and the teacher. Corrado Corradi Dell ‘ Acqua, and Dr. Cyril Sahoyúé (doctor pediatrician at hug) and stéphanie mermet (nurse hypnotherapist at hug). All our congratulations!